Positive The Washington Post Some of Kotlowitz’s incidental observations, about realities so extreme they border on the absurd, are the most telling of all ... Even amid the grimness, there are sweet moments ... Still, the book’s dominant mood is bleakness. Kotlowitz wisely does not propose solutions to Chicago’s ills ... One thing he does achieve is to make clear that these horrors are not happening on TV or to creatures who somehow don’t feel pain. They are happening here, in the most prosperous nation in the world, to people like me and you. Positive The Wall Street Journal Maxine Gordon...has produced a story of Dexter’s life that is also about the challenge of portraying a reluctant subject ... Sophisticated Giant (which shares its title with a Gordon album) is affectionate, enjoyable and informative, painting a portrait of a handsome, elegant, easygoing person and artist who refused to agonize about his past. 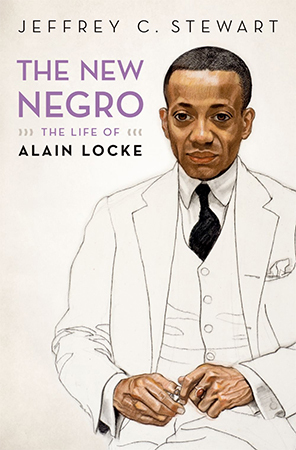 Like the man himself, however, the book fails to discuss some things the reader may wonder about ... Perhaps more important, the word \'legacy\' in the subtitle is misleading. Maxine Gordon clearly regards as her husband’s crowning achievement his lead performance as the fictional musician Dale Turner, based on the pianist Bud Powell, in Bertrand Tavernier’s 1986 film Round Midnight, for which Gordon was nominated for an Oscar. Jazz fans, though, might be more interested in Gordon’s stylistic influence on other musicians, one obvious example being Sonny Rollins. Maxine Gordon relies on quotes from others for that, and even those are sparse. Positive The Wall Street Journal ...fascinating ... Perrusquia...do[es] a good job of establishing the mood of the times and the context in which...principal characters operated, shedding light—the little there is to shed—on Withers’s possible motivation for cooperating with the FBI ... Mr. Perrusquia’s volume is a bit broader in scope [than Preston Lauterbach’s Bluff City]; he tells part of the story that only he can—the discovery of Withers’s secret and the struggle to bring it to light—and his contact with Lawrence’s surviving family members makes for insights into the FBI agent’s own personality and motivations. Rave The Washington Post Some of the magic of Smoketown lies in the way it details how those fields often were connected, sometimes beneath the surface. 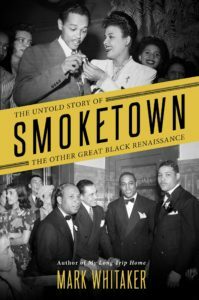 Mainly, though, these colorful stories of great black accomplishments simply make for fascinating reading ... Whitaker ably demonstrates how the descendants and legacies of those white men directly affected Pittsburgh’s black community, in ways both positive and devastating ... Smoketown will appeal to anybody interested in black history and anybody who loves a good story. In short, anybody. 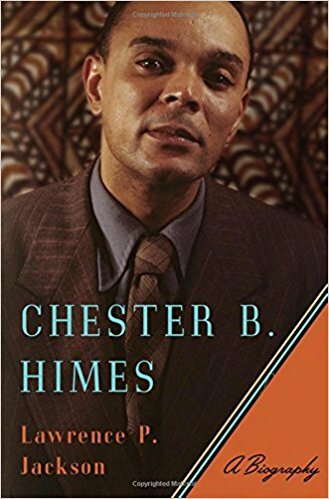 Rave The Wall Street Journal The latest, by Lawrence P. Jackson, a professor of English and history at Johns Hopkins, may well prove to be the definitive book about Himes. In this exhaustively researched work, Mr. Jackson has provided a sympathetic portrait of the novelist that also captures much of the times in which he lived... Mr. Jackson does a fine job of following that career and Himes’s life, from his struggles to publish novels and even to support himself, to his own doomed first marriage, to his flight from America and permanent residence in Europe... As Himes’s biographer, Mr. Jackson maintains a crucial distance, conveying admiration but not worship, recognizing the importance of his subject’s work while withholding judgment, for the most part, about his life, except to pull back on occasion to make a clear-eyed summation of his general character — less condemnation than observation. 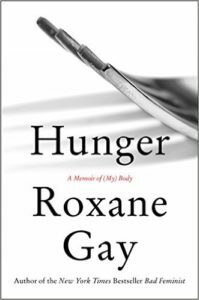 Mixed The Los Angeles Review of Books The great strength of Hunger is in Gay’s unflinching look at herself and her life ... The great weakness of Hunger is that what might have made a knockout 40-page essay is instead a 307-page book, one that had me writing in the margins, 'Yes, you told me.' There is a good deal of repetition ... maybe it’s churlish to attack the grammar of a book that seeks to establish a connection with those suffering emotional wounds. One could argue that a writer of Gay’s prominence has a heightened responsibility to her craft; on the other hand, her fan base surely cares more about what she says than the way she says it. And for those who hunger for her message, she probably can’t deliver it often enough. 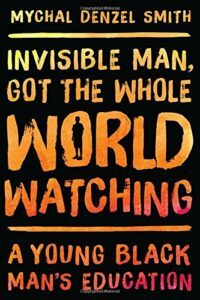 Positive The Village Voice ...when Smith takes members of the black community to task for certain prejudices and shortcomings, he begins, honestly and poignantly, with himself ... This engaging, very readable book isn't perfect. At moments Smith's rhetoric soars so high that it loses contact with ground control ... at the sentence level, the book has moments of plain old sloppiness ... Mainly, though, Smith's book inspires admiration.